Sad to hear the health of TV darling Jeanne Little, 76, has deteriorated with her family revealing her Alzheimer’s condition has become so bad she “no longer knows where she is or what’s going on around her”. Little, who shot to fame on The Mike Walsh Show in the 1970s, was diagnosed with the illness in 2009. Her daughter Katie visits her mother in a nursing home. “Usually when I go to see mum I always arrange to bring someone else with me otherwise it’s depressing as hell,” Ms Little said. The family admit that early signs of Alzheimers were not noticed or were misunderstood. “It started a few years before then but we didn’t pick it up because she’s so zany anyway,” Barry Little said. He now says the woman he calls “the light of my life” exists only in memory. “It is horrible to see someone so vital and alive go from that to sitting in a chair all day and needing to be washed and cared for,” he said. 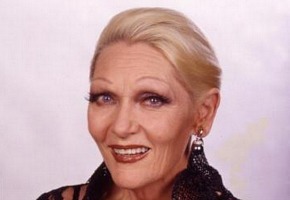 Jeanne Little won a Gold Logie in 1976. Thoughts and prayers for the family…. This breaks my heart, especially for the family and friends who are forced to deal with the disassociation. That can’t be easy. This is such sad news. My heart goes out to her family. I can only imagine how heartbreaking this is for them.